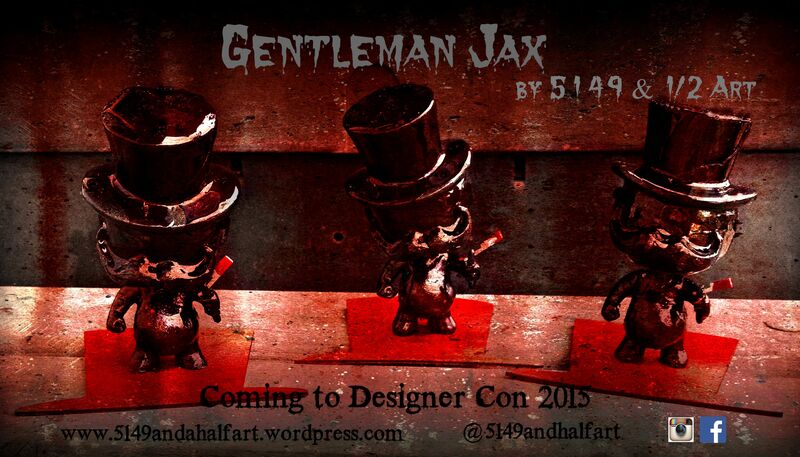 Our Gentleman Jax figure is coming to Designer Con this November! 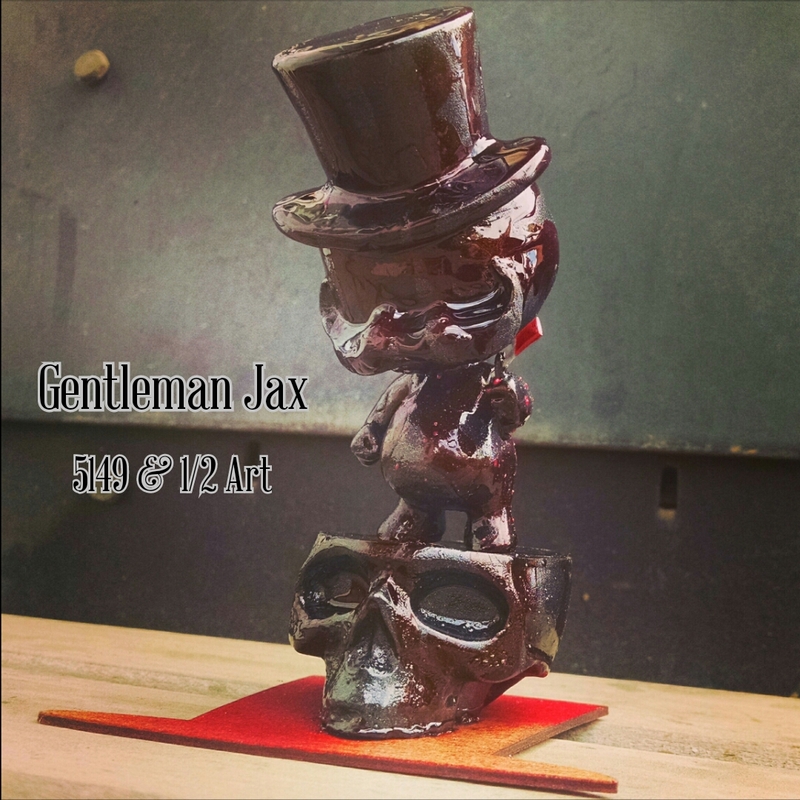 He stands about 4 inches tall, with a straight razor in hand, dripping in blood and standing on a wooden, blood splattered top hat. The limited edition version however will come on a skull head base. The skull is black with deep red blood dripping down the sides. We will only have about 15 of these at $100 each and we’re offering first to our fans. To reserve one, message me via Facebook or email gbeatle66@gmail.com. When they are ready to ship (closer to November) you can purchase then.